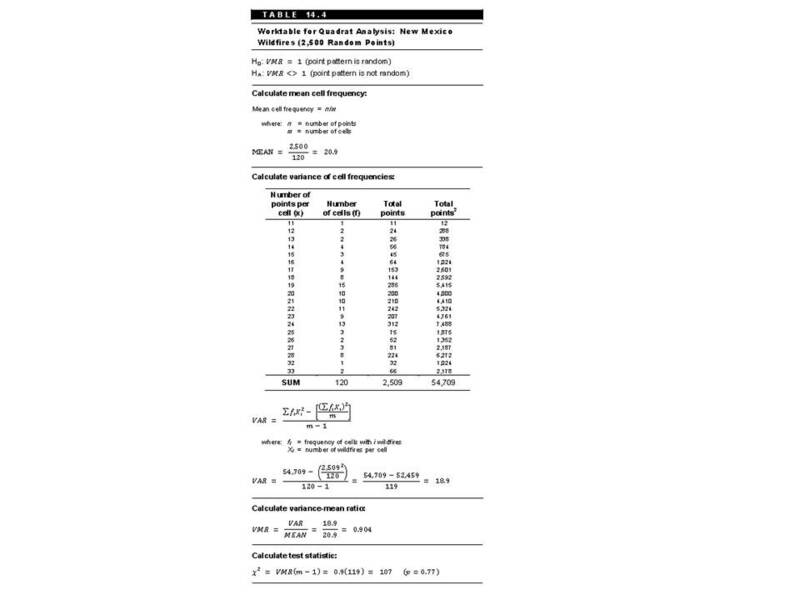 The calculations look pretty daunting, don’t they? But, in actuality, its basic arithmetic. In this blog I am only going to illustrate how we obtained the correct variance to mean ratio using spatial SQL. If you want to understand quadrat analysis, check out the book, or do a web search. Remember, the COUNT clause counts up the number of points, but the group by clause groups it by the cell id (in this case, the layer is called quadrat). 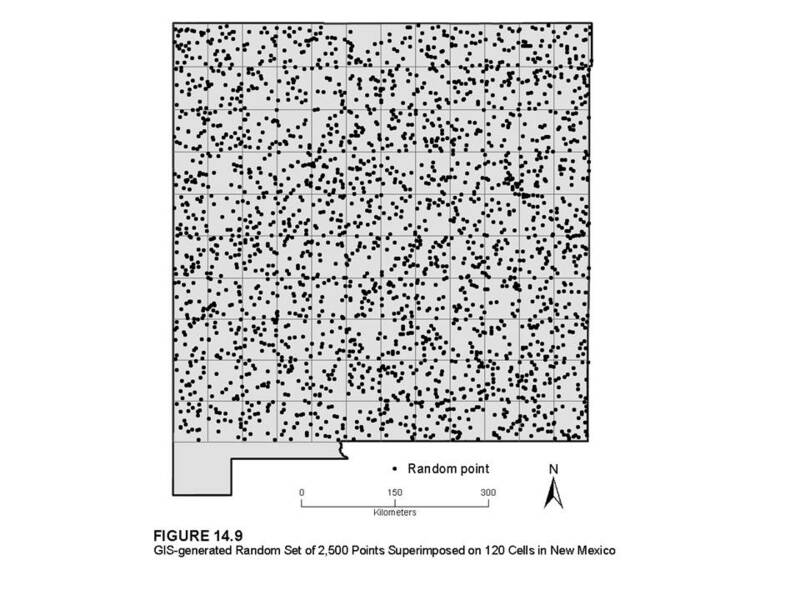 Unfortunately, this query tells us the number of points in each cell. It does not tell us how many point have only 1, 2, or n number of cells. To find that, we have to obtain the COUNT of the number of cells that have n points. So, we wrap the query above into another query that counts up the number cells that have a specific number of points – so, when we group the data, we are actually grouping it by the number of points (numpts) computed in the previous query. This means we have a table that tells us how many cells have a specific number of points in it. Now, while we are at it, we may as well compute some of the other things in the table like “total points” and fx^2. yep, this is a bloody mess. But, it does in fact work. All those SELECT statements in the top are issuing sub queries that are getting us our values for N, average, etc. Now, this is an example of where using a programming language and storing many of the values would be much more advantageous. However, the point here is that with SQL and a basic CONTAINS clause, we can perform quadrat analysis on any dataset. Just make sure your points are in a layer called points and you quadrat cells are in a layer called quadrat.